← Marfa’s Turkey Menace: Small-town Bully, Or Just a Lonely Tom? Over the last 10 years, there have been two big pushes to collect the oral histories of former Blackwell School students. Both efforts eventually stalled due to lack of resources, but a third big push is underway, this time with the help of a few outside organizations. Walk into the Blackwell School today and you can tell it was originally a church back in the 1880’s. There’s two big and echoey main rooms, vaulted ceilings and dusty, hardwood floors. 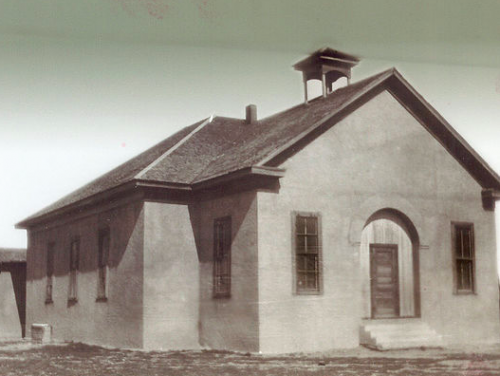 This building was Marfa’s segregated Hispanic school until 1965 when the district integrated. Today it’s a museum. In one room there are all kinds of memorabilia from the Blackwell days, like trophies and sports uniforms. Gretel Enck shows me a room full of pictures of past teachers and students. Enck is President of the Blackwell School Alliance — the organization responsible for the renovation of the old Blackwell School. She says for many years the goal of the Alliance was to preserve the physical building, and that made sense, at first. But now they’re shifting their focus. “I mean this is a great old building, but to me the value that it has is in being a tangible place, or repository, for the stories of Blackwell,” she says. The alliance has been collecting those stories in fits and starts over the last 10 years, with two big pushes. So far 28 oral histories have been recorded, but the alliance hasn’t previously had the support it’s needed to get more than that. But now, armed with a $1500 grant from Humanities Texas, the effort is getting a kickstart. Enck and the Blackwell team want to get 50 oral histories this time around, and for help they’re teaming up with the Institute of Oral History at the University of Texas at El Paso (UTEP). She says this partnership will professionalize Blackwell’s oral history program in a number of ways. For one, it “increases the capacity of the number of people [they] can interview,” she says. Enck says UTEP will also handle archival storage. Meaning that in the future, “students and researchers and anyone who’s interested in learning about the Blackwell School” will be able to visit a website to listen to the interviews in their entirety. Dr. Yolanda Leyva is the Director of the Institute of Oral History at UTEP and will oversee this latest round of Blackwell oral history interviews. She says when Blackwell approached her, she was actually just about to start an oral history project centered on segregated schools along the border. “We thought, well, that’s Blackwell school,” says Leyva. Leyva and her students hope to interview 30-40 people in El Paso – where there’s already an active Blackwell Alumni chapter. Gretel Enck hopes to conduct 10-20 interviews in Marfa. But sometime in the late 1950’s, many of Blackwell’s records were destroyed. Many of the schools Leyva studies were segregated all the way through high school. But interestingly, in Marfa, segregation was only enforced through the 8th grade. 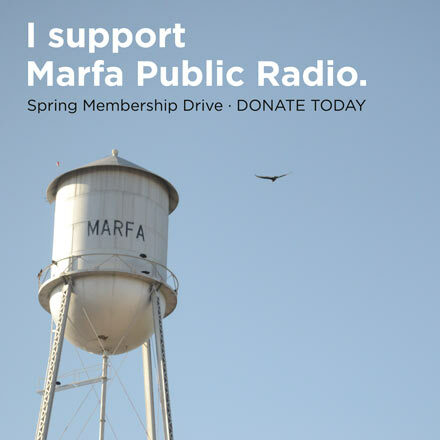 So far, Enck and Leyva have collected ten oral histories this go-around, and are still looking to sign up former students, neighbors, and anyone else who lived in Marfa when Blackwell was operating. This entry was posted in KRTS News and tagged Blackwell School, Blackwell School Alliance, education, history, marfa, segregation, Texas History. Bookmark the permalink.